The essence of a website is maintained by the number of visitors that it gets every day. In fact, there is no point in having a user-friendly website if there are no users at all to see what’s there. Even research suggests that it is important to hold back visitors who come to your website before they take a decision to never return back to it. A majority of people (98 percent) among those who visit a website, practically do nothing and tend to leave. Out of them, nearly 75 percent never return back to the site. In such a scenario, employing exit intent technology is important to hold back visitors and engage them to make sure that they have a reason to stay back or return to the site in the near future. This can be done by offering them special discounts and offers that compel them to come back and avail them. The success of exit intent technology is evident from the fact that Steven Sashen of XeroShoes line of Bare-footwear was able to pursue many of his website visitors to make a purchase after he popularized his bare footwear idea with the help of exit intent technology. 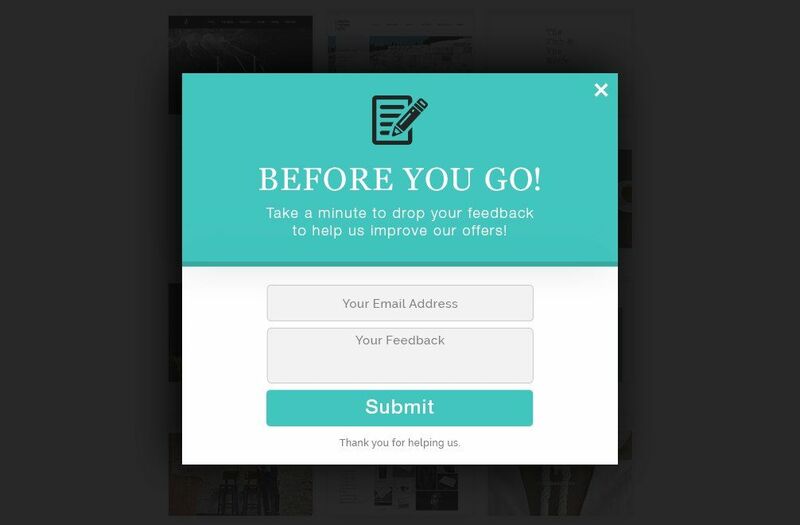 How will you use an Exit Intent Popup? The exit intent technology is an excellent way to hold back visitors when they are about to abandon the site. The entire idea of the technology is to detect the precise moment – based on the activity of the visitor – when the visitor is about to leave the site. This not only helps hold back the visitor but also reduces the bounce rate. In addition to holding back visitors from leaving, which is its primary motive, exit intent technology can also be used to fulfill a few other purposes. For example, it can be used to build email lists, promote a video, redirect traffic, provide exciting offers and promotions and reduce cases of cart abandonment. 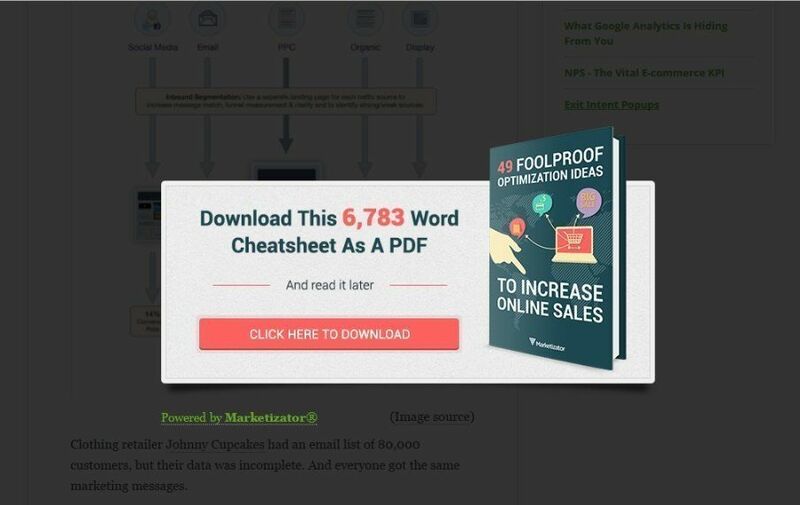 History suggests that the use of popups with the exit intent technology is one of the most effective ways to achieve conversion than any other normal technique. 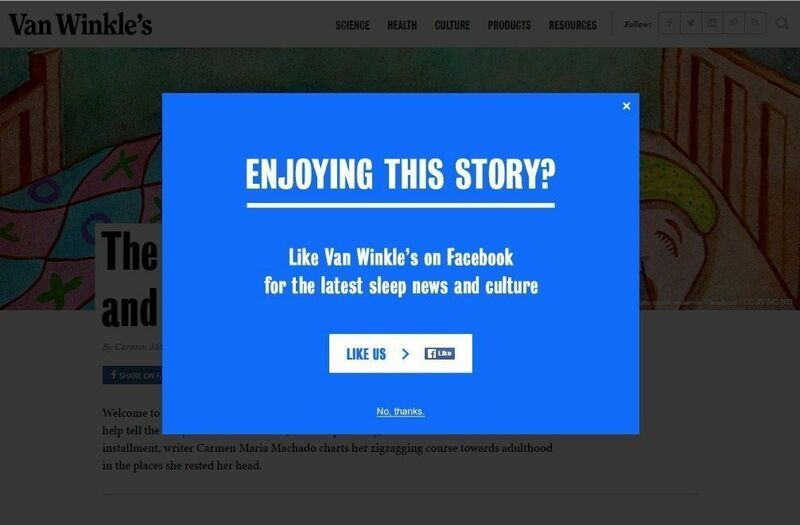 This article examines some ways by which exit-intent popups or an exit intent opt-ins can be used to entice visitors while they are leaving. 18 Offer freebies like guides, PSD’s, etc. Email marketing is one of the best tools when it comes to building a brigade of visitors that love to read everything that you post or anything that you sell. 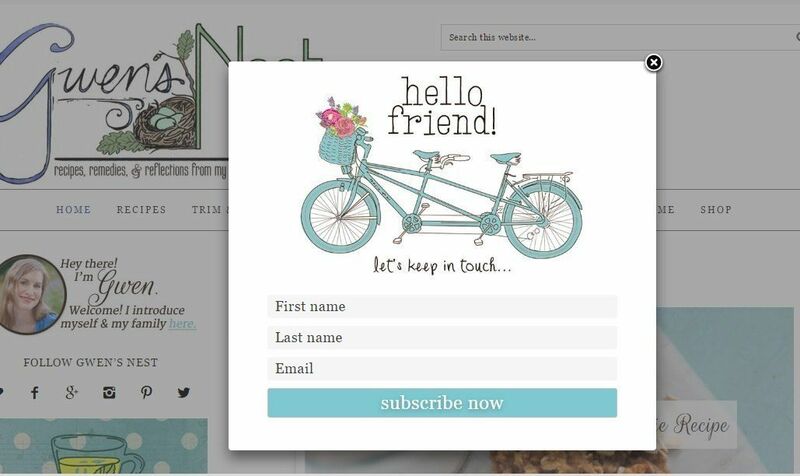 Expanding the base of newsletter readers also helps extend your reach to the target audience. This can be easily achieved with the help of exit intent technology. 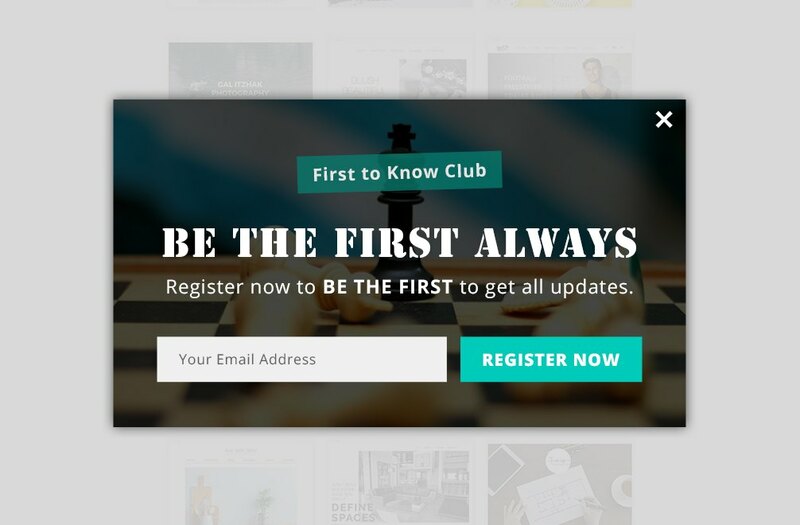 Placing a newsletter subscription popup just when a customer is about to leave increases the chances of him or her signing up for it, and as a result, the overall chances of returning to the website also increase. A blog named Gwen’s Nest is a great example that employs the same strategy. Handled by a lady named Gwen, the blog shares tons of healthy recipes, kitchen tips, creative home ideas and several remedies for cooking enthusiasts and homemakers. Gwen’s whole idea is to create a visitor base that shares similar views, interests, and ideas and that is the reason why she has placed the following exit intent technology popup on her site: Such an exit intent popup would help her fetch subscribers with common interests and an opportunity to interact with them. Such a kind of a popup will surely attract anyone who wants to or loves to read what Gwen has to share on her blog. Cart abandonment is one of the biggest challenges that a majority of websites face. In fact, a review of 33 different sites conducted in the past revealed average abandonment to be as high as 68 percent. For such websites, the only way to earn online is by holding back visitors, engaging them and reminding them about the items in their cart. 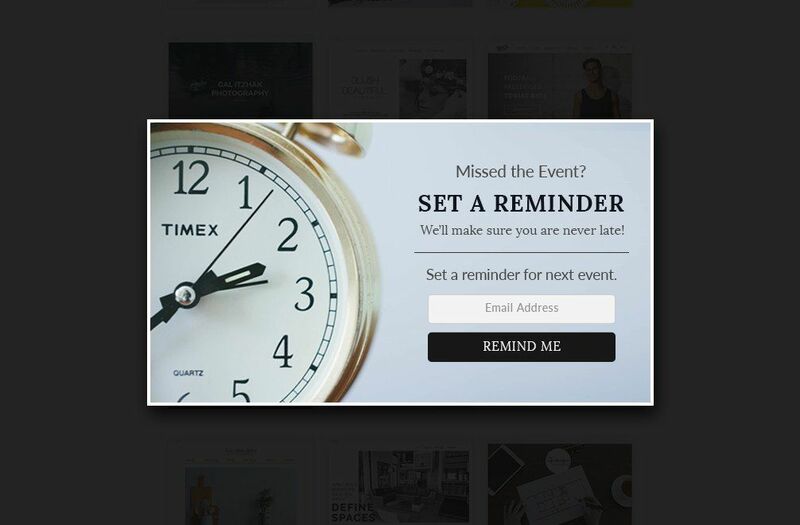 Such reminders can be easily set with the help of exit intent. You can offer some discount to facilitate an immediate purchase, however providing them an option to save their cart in email can also be done. While the first option is best for the online retailer, the second option increases their chances of returning back to the website. One such eCommerce website that uses the same strategy is Behappy.me. The website lets you create customized T-shirts, canvas, pillow and tote bags. 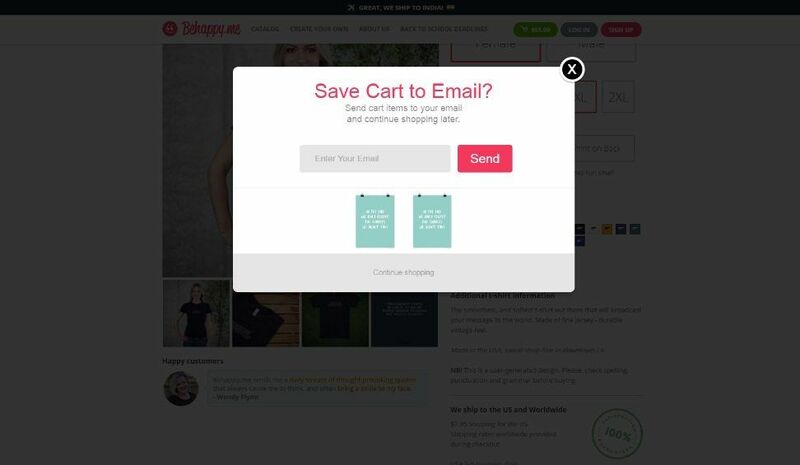 This exit intent popup lets users save the items that they have added in the cart. This, in turn, increases their chances of returning back to the website. What could be easier and convenient than getting free quotes without spending even a single penny? People love free quotes, especially when the website provides them with an option to get one without any hassle. A visitor may browse 20 different sites for a single product, but if yours is the one that is offering them a free quote, then you know that you have an advantage over the others. Offering a free quote helps build trust and a visitor is most likely to return back to your site if the trust is maintained. Providing them with a quote gives them time to make a correct decision, and also indicates your reliability. 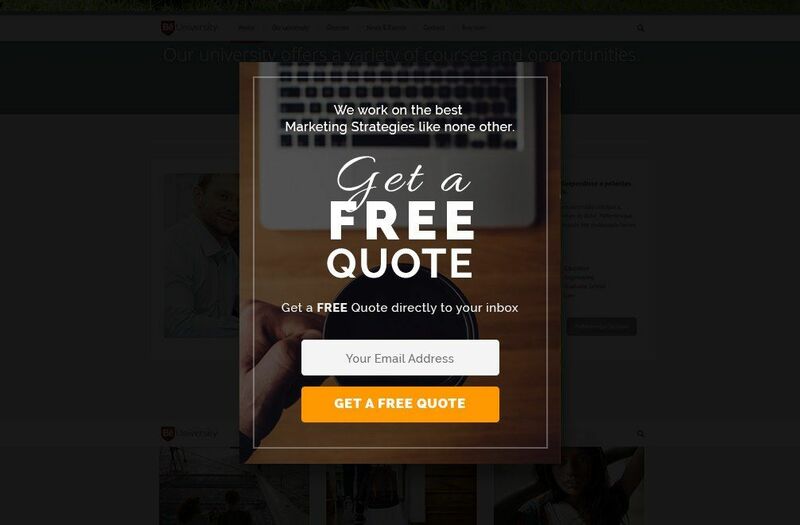 Making use of exit intent technology to display a popup, asking users to enter their email ID to get a free quote is a great way to interest and attract a potential customer. On top of that, it helps build email lists too! Offering an in-depth analysis of what you have been doing for years in the form of a report attracts visitors from the same field and also generates an interest among them. Such a report shows what you have been doing in the market for years and what exactly have you achieved so far in the industry. Who knows that offering a detailed report of an analysis, survey or your accomplishment will one day make the visitor hire you for the services that you offer. 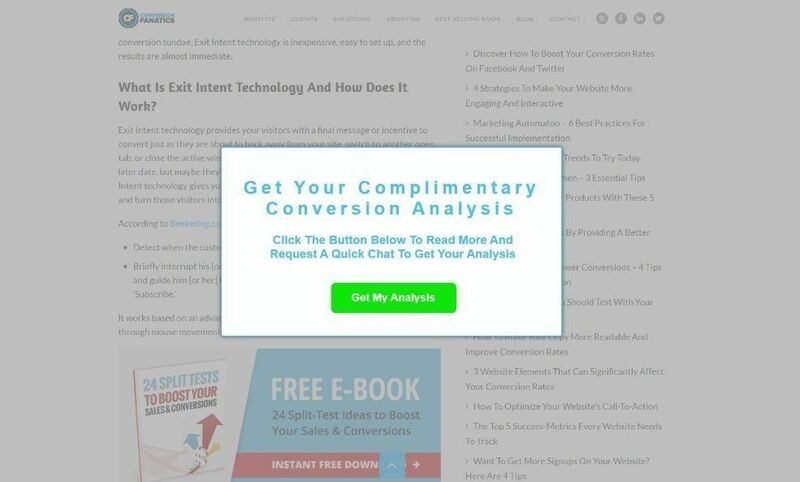 One of the websites that make use of such exit intent technology for their benefit is http://conversionfanatics.com/. This website, which talks about conversion and marketing, offers a free analysis report prepared by them. This not only interests the visitor, but also makes them visit the same site again. Most often, website visitors do not have enough time to read long blog posts or paragraphs to get an essence of what the website is all about. While reading interesting content seems fun to a lot of people, lack of time makes them drift away from the website. Such website owners can make use of the exit intent technology to offer visitors an option to get a PDF version of a blog post for free. For people who love to read interesting content, this could be a great way to save articles for a later read. One such conversion and marketing website that makes use of such a strategy is www.marketizator.com. The website provides an option to the visitor to download an ebook, report or a blog post in PDF format. This method not only offers readers a blog post for later use but gives you an email list of loyal readers who love to read you posts and don’t mind saving it for later reference too. One of the other ways to make use of exit intent technology is by showing urgency. You can state the duration of an offer or a countdown to create a sense of urgency, which often instigates a quick action from the visitor’s end. This is the reason why displaying a limited period offer compels a majority of users to take an action and grab the offer. The eCommerc makes an effective use of this strategy to grab users and complete their orders. 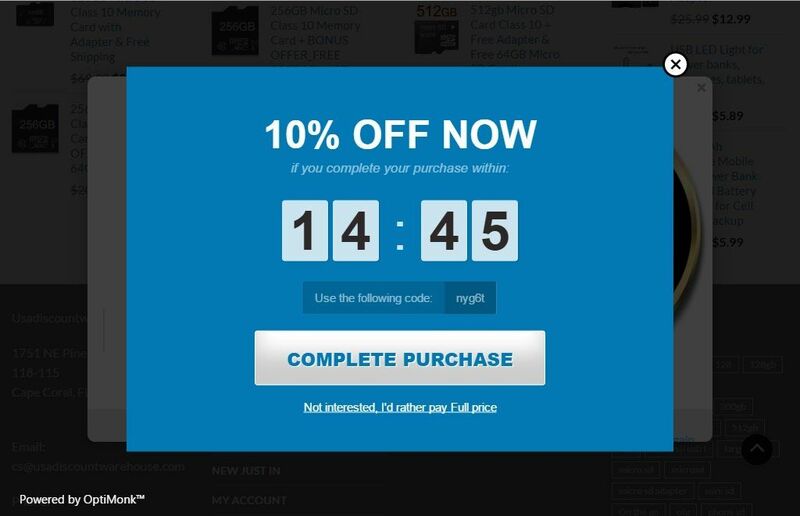 The exit intent pop up displayed on this website shows the discount percentage, along with the number of hours remaining till the offer lasts. It also shows a discount code and asks the user to complete the order quickly creating a situation in which the visitor sees the positive side of placing the order. This not only holds back a visitor but makes sure he completes his purchase too. Asking a visitor to enter feedback has several benefits. First, it takes the visitor in confidence and shows that the company is serious about business and is ready to satisfy the customer by all means. Secondly, it provides some important points that the company should pay attention to, especially if those are criticisms. You can make use of exit intent technology and show a pop up as soon as the visitor is done browsing through the site. The pop up could ask the users about their experience, what they think about the website and the business. Listening to the customer and taking their feedback helps build confidence. In addition, it helps build an email list too. A majority of users end up on a website after making a specific query. While your website may have everything that they wanted to know at the first place, they might want to know something more, or you could tell them that there is more to what they have been searching for. Why not ask them certain questions that will make them curious to know more about the topic in depth? This not only keeps the visitors engaged with the website, but also reduces the bounce rate. Asking a question instigates a sense of curiosity among the visitors and they end up going deeper into the website. In fact, if they find the content interesting and engaging enough, they are bound to return back. An information website called http://www.onegoodthingbyjillee.com/ is one enterprise that makes an effective use of exit intent technology to throw questions at the visitors. An interesting display and an intriguing question are all that determines the success of this strategy. Nowadays, one of the most efficient, effective and easiest ways to reach the target audience is with the help of social media platforms such as Facebook, Twitter and Instagram. You can make use of the exit intent technology to make people follow you, interact with you and share what you have to say or sell. You can display various social media icons in exit intent popups. This will redirect visitors to your social media profiles and encourage them to share your posts and content. An information blog called vanwinkles.com is one such platform that makes use of exit intent technology to display social media icons. Wanting to build a dedicated audience who loves their work, they believe social media can help them reach out to many. The social media popup they use makes people like the profiles and watch out for special offers that the company has to offer. When it comes to competition, it is important to convince the buyers why they should try your product or service instead of the one that your rival has to offer. One such method of doing it is by showing them a demo of the service or offer a freebie product as a sample. This helps gain their confidence by letting them know that it works well. 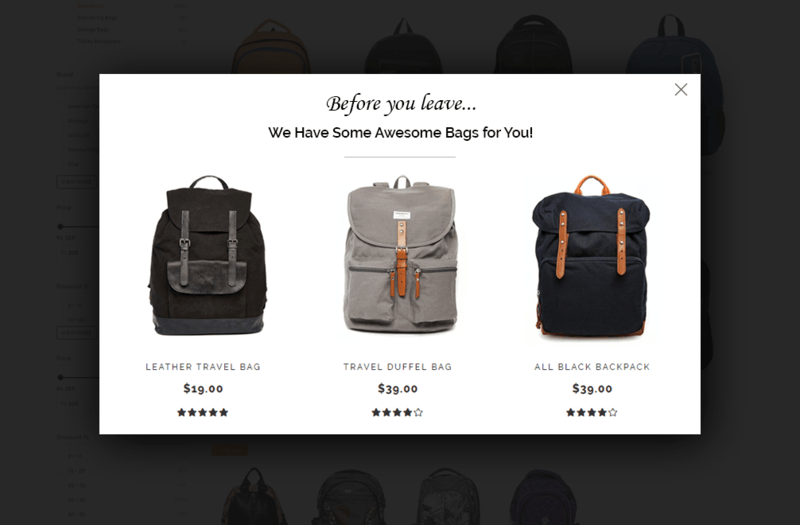 There may be instances when the visitor already has a similar product and decides to move out of the website. This is the right time when you can place an exit intent pop up asking them to try out a free demo or product before making the final verdict. A Dental clinic website http://www.dentalartimplantclinic.co.uk/ is one such company that makes use of this strategy. 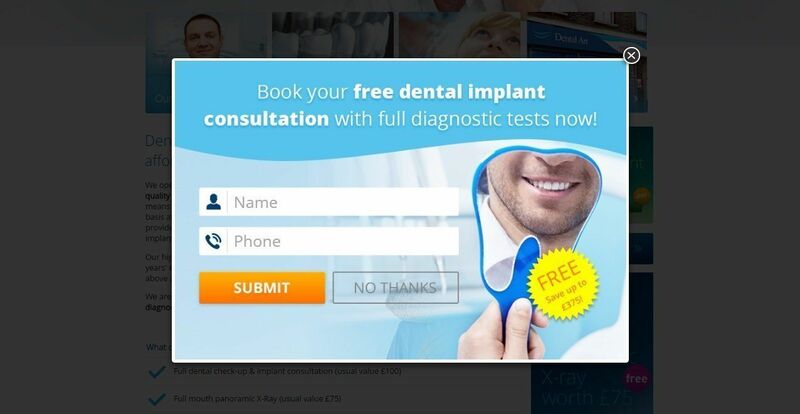 It offers an option for free dental implant consultation by simply filling up a form. While the word “free” itself is enough to attract the visitor, the pop up form, on the other hand, helps build email list. People get bored seeing same products on different websites. That is the reason why any information about a new product or service interests them the most. You can make use of exit intent technology to inform visitors about a new product, services or any changes that you have made in the existing range of material available. This quickly interests the visitor and makes them explore more. 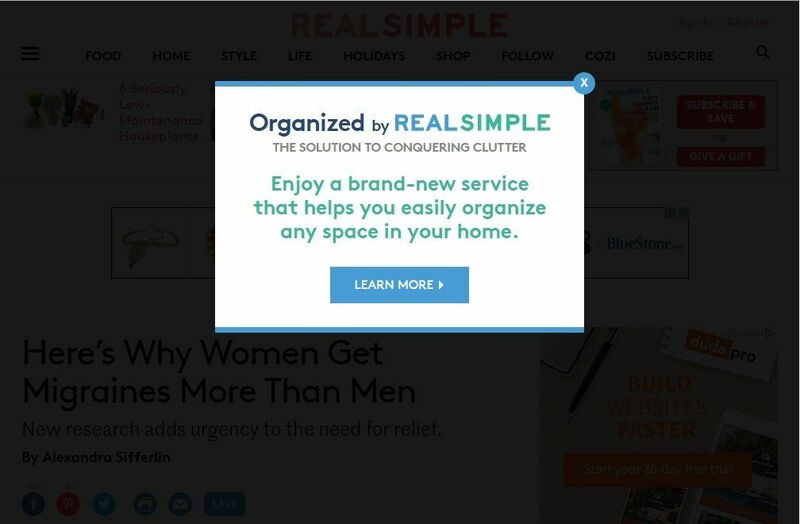 Real Simple is one such website that offers information magazines, blogs and other services. 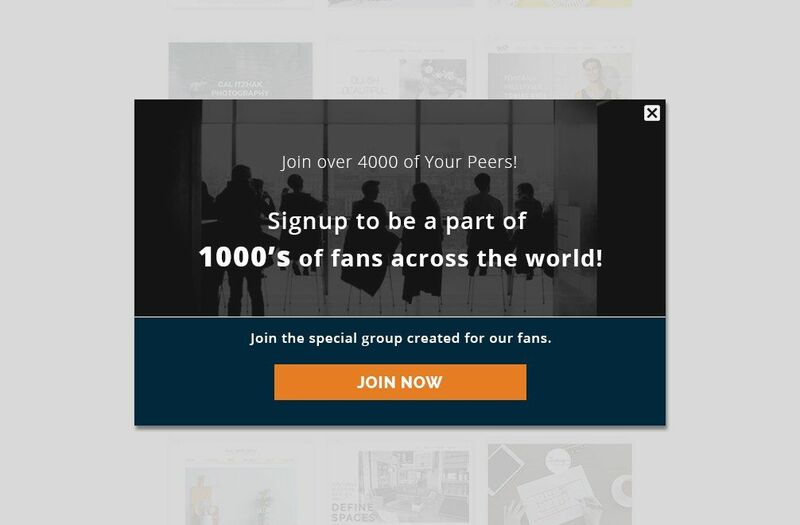 The pop up used by this company informs the visitor about the new service that they have launched and how it helps them organize things easily. An attractive caption interests the user and makes them explore more about the service. One of the best ways to keep in touch with the visitors is to have their key details. A user may be interested in visiting your site again and might look for a registration or subscription form. Why not give them a form by yourself to fill in their details? This can be easily done with the help of exit intent technology. This will not only save visitors’ time in navigating all the way to the contact us page, but also help build your email list. In addition, you can claim in the same pop up that you will get in touch with the visitor soon. 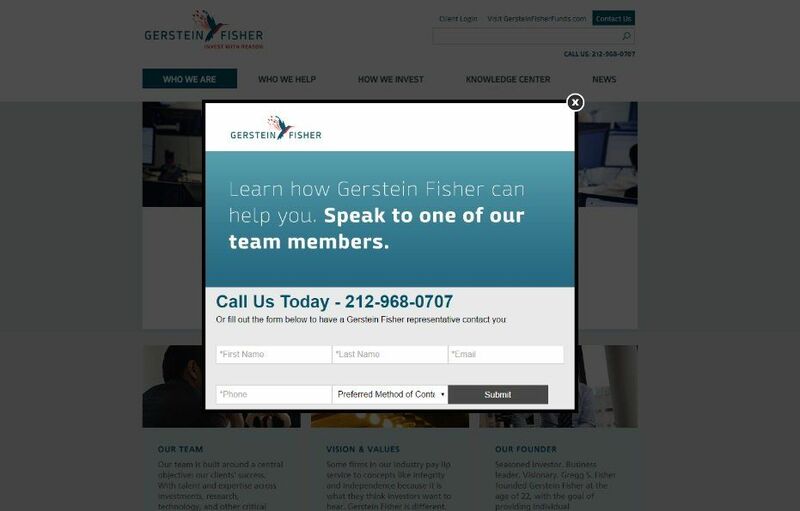 An investment management and advisory firm http://gersteinfisher.com/contact-us is one such company that makes use of this strategy. The pop up asks the user to enter their name, email, phone number and preferred mode of contact, with a confirmation that they will be contacted by one of their team members. It is indeed an effective method of building trust and maintaining relationship with your customers. The number of smartphone users is booming across the world. This is why everyone is targeting for a mobile application that users can easily use to browse the products, place an order and track them. You can easily publicize your commercial app with the help of exit intent technology. Desktop and mobile apps provide a platform for direct interaction with the user. You can employ tools to detect the exit intent of the visitor and ask them to try out your application. This makes sure that the visitor keeps in your touch as long as the app is available. 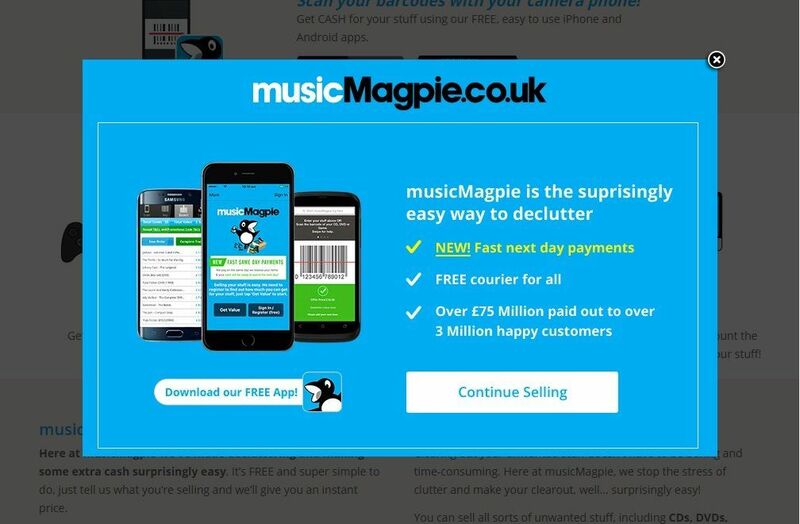 An eCommerce site Musicmagpie.co.uk makes use of a similar tool. The website that deals with all kinds of music asks the user to download their free app to stay connected with them as soon as they detect that the user is about to leave the site. Visitors often get attracted to a piece of content that is not easily available otherwise. In fact, people who want to know more about certain content never miss an opportunity to download free guides, tutorial or tests available online. You can also make use of such a strategy on your website. Offering a piece of content for a limited period makes visitors grab the opportunity by filling a simple form. This helps increase the visitor base and the interaction that they have on your website. One such website is Whichtestwon.com. This website publishes tests and case studies and encourages tests that help marketers and CROs. 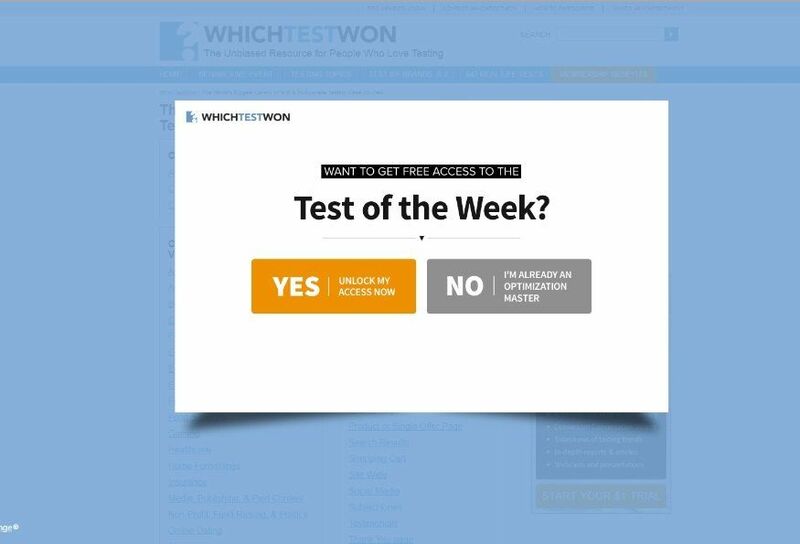 In the popup created for exit intent, this site provides free access to the “Test of the Week”. There are a number of sites that has a list of users prepared whom they send regular updates about, their present products and services or news about the upcoming ones. You can also maintain a similar list to create a loyal customer base and regular readers. This way you can let them know about any changes up front and they will be the first one to pitch in their reviews! Users who have been following you since long will love to know about every new move you make. While those who are new would want to know what best have you to offer. 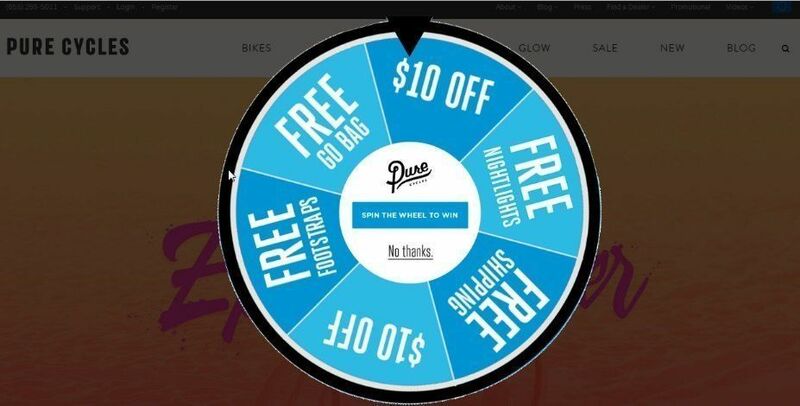 This is why displaying a popup that promises something good will surely hold back visitors. You can use a number of apps to create a channel or a group for the product or service that you sell. Some of these apps that offer such an opportunity include Azendoo, Slack and Fleep. Such a channel acts as a great platform for interaction with different users, who ultimately get close to your product and provide real-time feedback. You can create a channel of your own using any of the aforementioned apps and ask your users to enter their email address to get added to the channel. You can even place an attractive line, emphasizing on the opportunity to join thousands of other peers with similar interests. One thing that can surely help hook up a visitor to a website is free vouchers and coupons. Offering good discounts in the form of a coupon or a freebie through a voucher is an effective way to make people purchase from your website. People don’t really like to waste coupons, especially when they are being offered for free. Therefore, you can send some coupons and vouchers to the visitor’s email address and it will make them come back to your site again, in addition to building the email list. 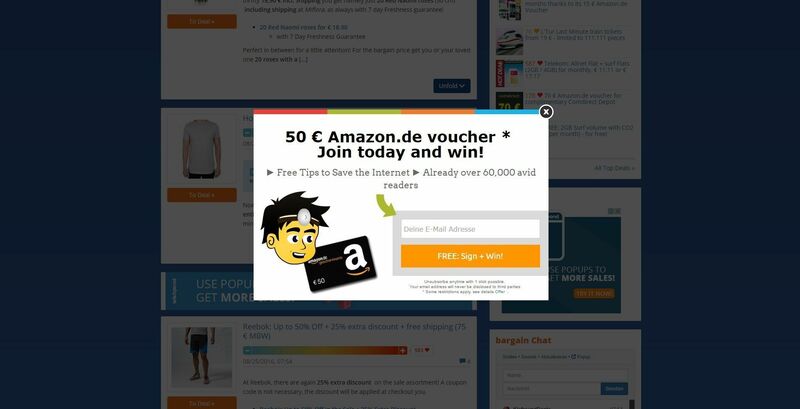 For example, a pop up placed by Dealdoktor.de offers Amazon coupons worth 50 Euros to any visitor who decides to sign up. Their audience would love to visit them again if they keep receiving such attractive vouchers. Who doesn’t love a free gift? You can tap on the same formula to attract visitors to your site! Offer freebies in the form of psd files, guides, checklists, templates, product samples and service discounts. You can simply ask the users to sign up to have the freebies. 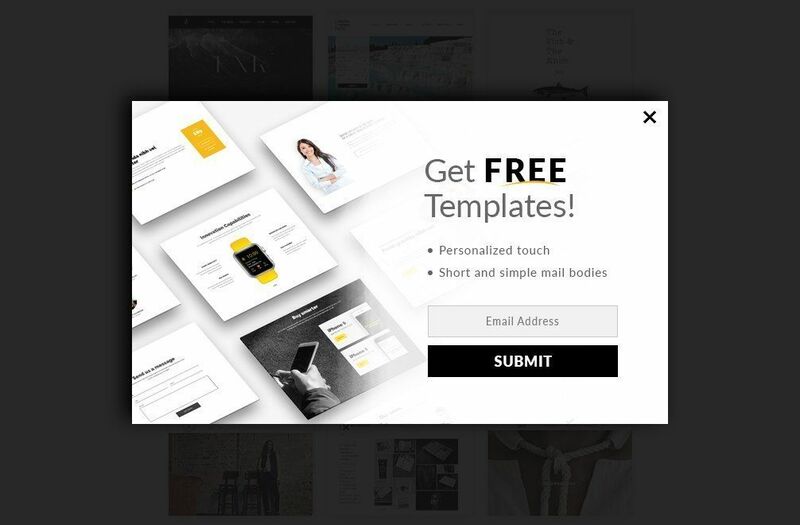 For example, email marketing websites may ask the users to sign up to receive free templates to their email address, web designers may like PSDs, marketers may like guides and case studies and businessmen may love checklists. There are a lot of things that can be offered as a freebie to help you build an email list and entice your users with something useful. People often browse through the FAQs section of the website whenever they have any problem or confusion. However, the FAQs may not solve all the queries that they might have. This is why you can place a pop up on the FAQs page, asking them to sign up to directly ask a question to the support center. This raises their confidence in the services provided by the website and also helps build an email list. Using such a pop-up provides users with an option to directly touch base with the support center in case they are not satisfied with the answers listed on the FAQs page. This, in turn, shows how customer-centric you are by proving how easy it is to get in touch with you. A user may purchase from your website once, however, what is the guarantee that they will make a purchase again? Some percentage of this can be assured by offering visitors a discount for their next purchase. This will make them return back to your website. Thus, exit intent technology can be effectively used to place a pop up as soon as a user makes a purchase and is about to leave the website. You can offer them a discount that they can claim in their next purchase. Purecycles is one such company that makes use of this strategy. It has an attractive and innovative spin the wheel contest that gives visitors an opportunity to win any one of the five listed discounts. 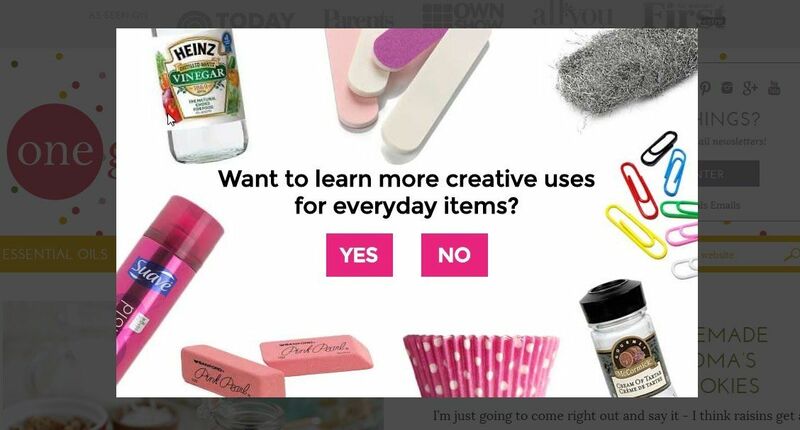 This is a good example of an interactive and useful popup that cannot be ignored. Visual content is always more engaging and powerful than text. You can expose the visitor to a video tutorial, illustration or a demo video of the post that they have just read. This will not only engage the visitor pretty well, but will also make them stay on the website a little longer. This can be done by placing a YouTube video in a popup box, which may appear When a user is about to leave a page. At times when a user finds the content to be too long or in detail, and tries to quit without reading the entire matter, you can display a video popup that might give a short summary or a visual explanation of the post. Reading hundreds of lines of content may seem a little boring at times. In fact, it may even discourage the user from visiting the site again. In such a scenario, placing some elements that make browsing a little fun can really help. This can be done with the help of interactive forms and quiz pop ups, placed at the end of a session. This will not only spark the interest of the user but also keep the user engaged in your website, thus reducing the overall bounce rate. This strategy is commonly practiced across several fashion websites, including Voonik. This fashion and merchandise website gives users an opportunity to take a quiz to determine their style quotient. Apart from engaging visitors in attractive quizzes, this strategy also holds an advantage for the business since they too get an idea of what their visitors are looking for and therefore can work ahead to satisfy their demands and needs. Surveys are yet another way to assess your performance and to know what visitors think about your website. In addition, it also offers an opportunity to the visitors to provide real feedback, and they end feeling a bit more satisfied. The key is to let them know that their opinion matters. You can provide simple yes/no questions or ratings that the user can easily fill without wasting much time. 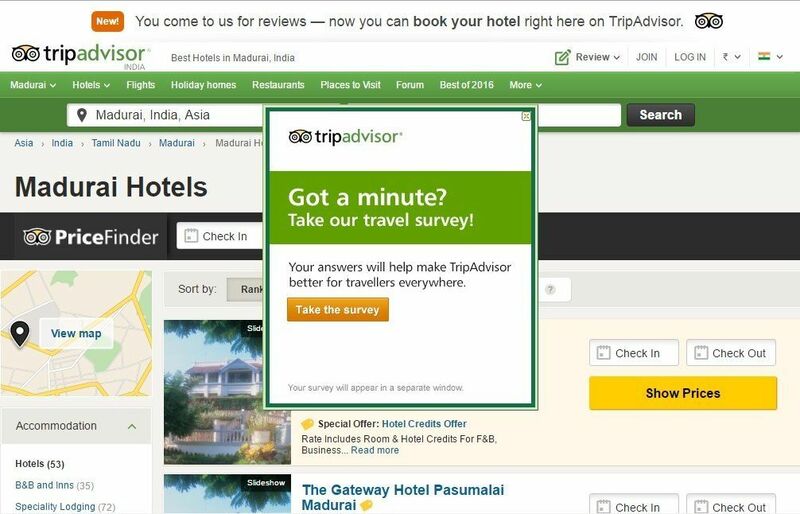 Such pop-ups are used by Trip Advisor as well. The popup asks the user to take a travel survey as it will help the company achieve better results with traveling experiences. A nice method to gather customer feedback and promise them about better services. If you track the preference of a visitor, then you can display a range of related products and services that they will be keen to have a look at. A visitor often searches for products available at the best prices, and if you have them, why not display it to them and increase the overall chances of purchase? Exit intent pop ups can be effectively used to display such products and services. This will indeed make use think twice before they finally decide to leave your site. Sometimes certain products go out of stock, despite the fact that the visitor desperately wants it. In such cases, let the visitor set a reminder for himself or herself, in the form of a notification that will drop in their inbox whenever the product, service, or even a ticket will be available in the near future. This helps to hold back visitors and also increase their chances of returning back to the website. Users are assured that you can give them a chance to be a part of the next event or pick an offer in the near future. This is why they’ll love you and will want to return for more. It is thus seen that exit intent on the whole can be used anyhow to hold back abandoning visitors. You only need to be sure that you are offering the right message on the right page and yes, the right time. The ball is now in your court! Go ahead and try all those that are relevant to you. To make the process easier, I have listed a set of don’ts that should be avoided to make the most of exit intent.